Verb. 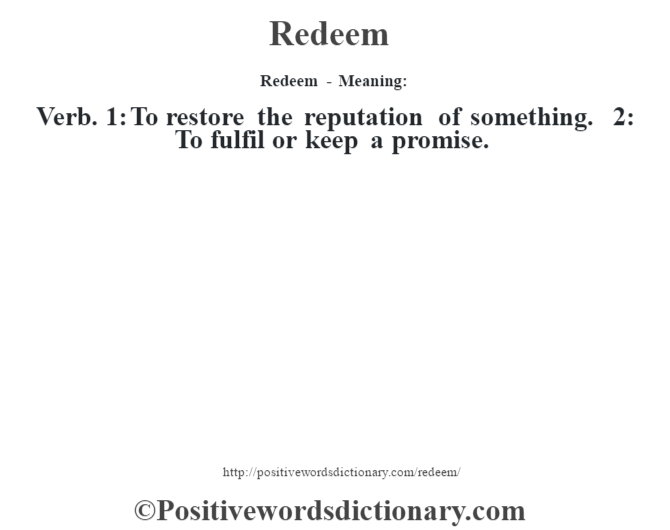 1: To restore the reputation of something. 2: To fulfil or keep a promise.